Crystals at T=0 have an equilibrium shape that can be calculated by the WULFF CONSTRUCTION. The T=0 shape has sharp edges and flat facets. At left, the evolution of a Helium crystal on heating is shown. 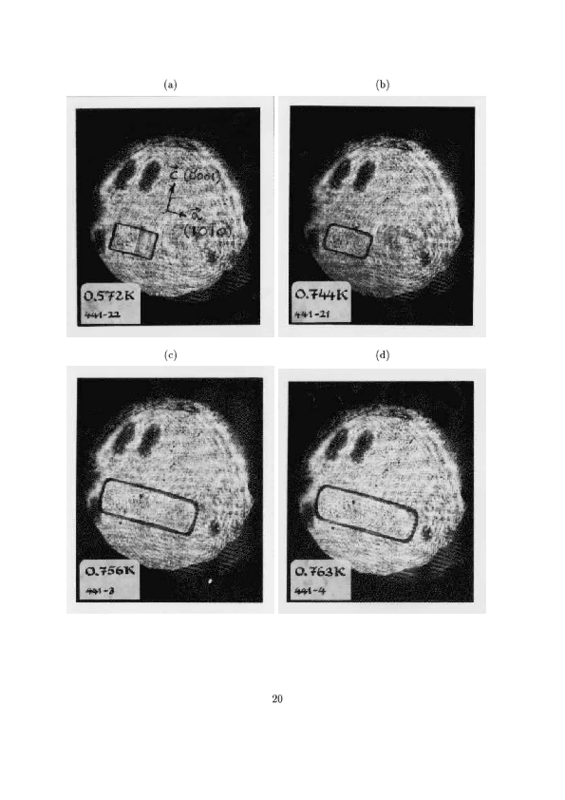 The images are from the laboratory of S.G. Lipson at the Technion and were collated by JA and published in Hashibon et.al PRB, 1998. 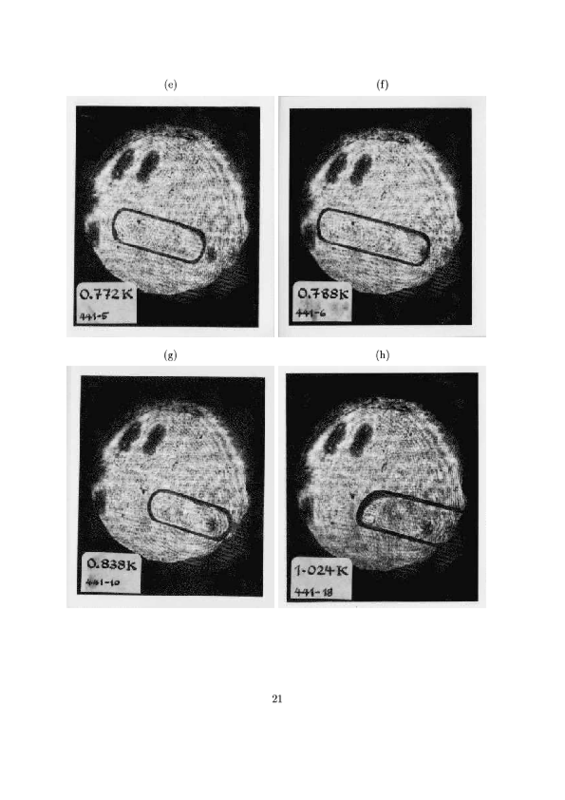 Each image is in a cryostat, the crystal is at lower left and the ``eyes'' are an optical illusion. Edges become round and facets become rough. All crystals exhibit such behaviour, but due to equilibration times in metals it is hard to observe.